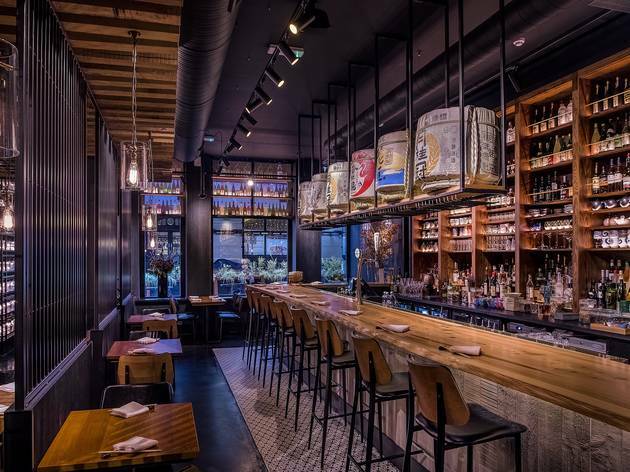 A sleek, modern Japanese restaurant with traditional values. 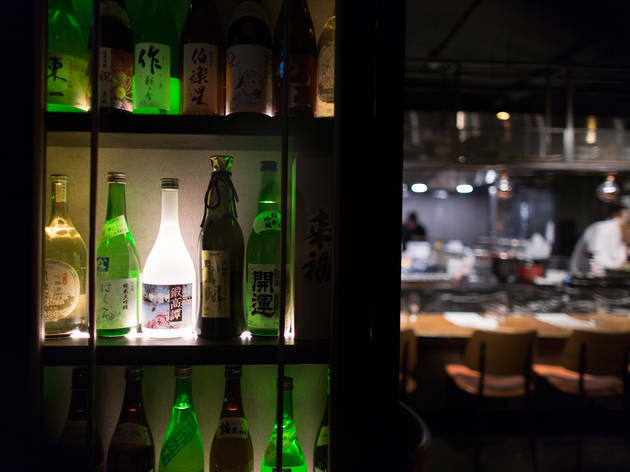 Just off Regent Street is Sakagura, a smart Japanese restaurant and sake bar. 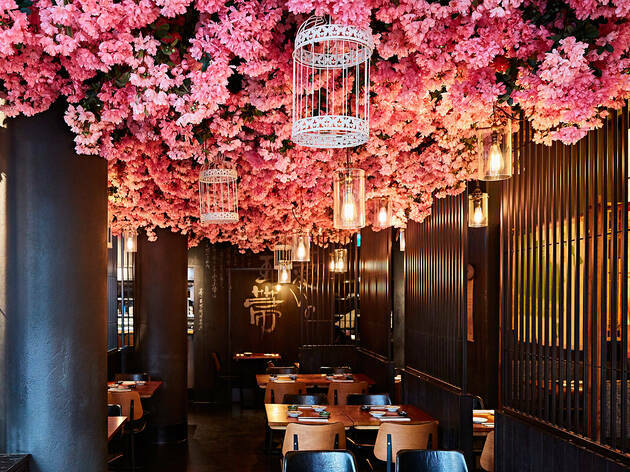 It’s like somewhere you would actually find in Japan, rather than your typical clichéd translation of a ‘Japanese restaurant’. 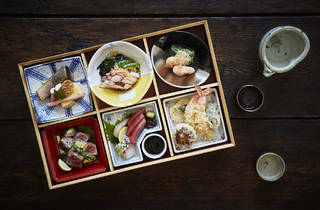 You get all the trimmings – hot towels, impeccably polite service, a sake menu so vast that it’s organised by province and, of course, really excellent food. Attention to detail abounds. 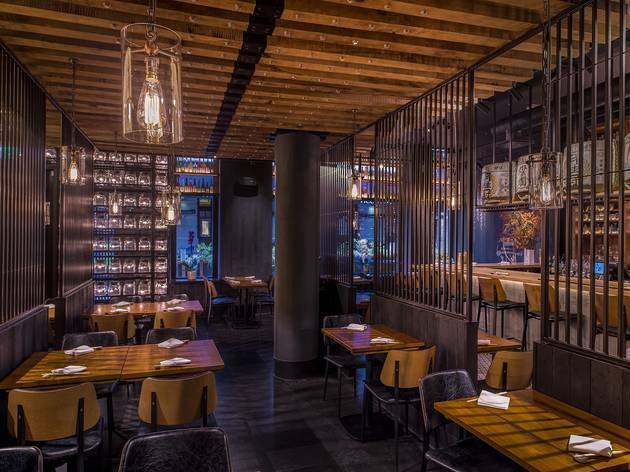 The décor is modern and sleek, with rich wooden tables, curved-back chairs and touches of black leather, but be sure to ask for a booth – partially screened, they’re the best seats in the house. 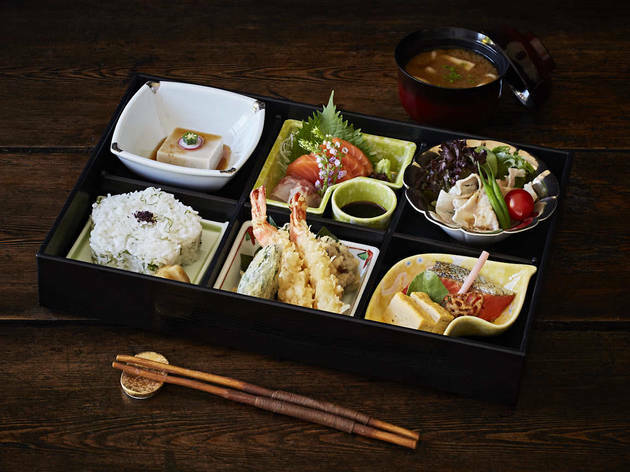 The traditional crockery is beautiful and the chopsticks are double-ended, which is a nice touch for when you’re serving food for sharing (the Japanese frown on using the same chopsticks for eating and serving, unless, of course, those chopsticks have two ends). 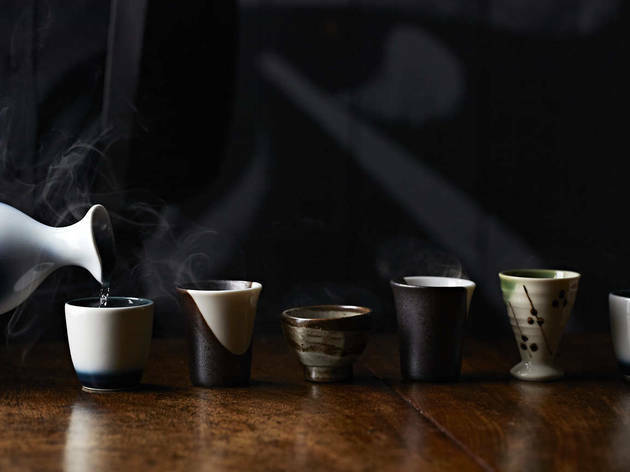 There’s even a sake sommelier. 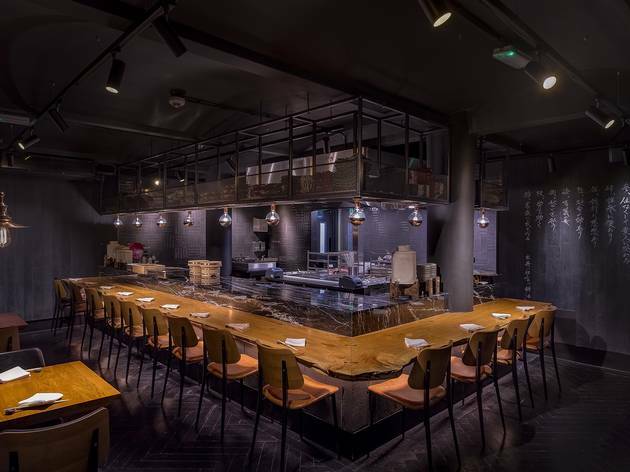 Despite Sakagura’s size and swishiness, it’s not at all intimidating, with friendly staff ready to talk you through what you’re about to eat without being patronising. 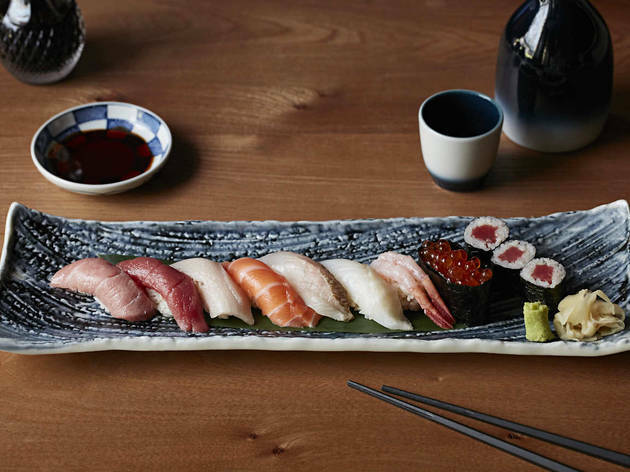 Order the sashimi moriwase – when it arrives your pupils will morph into love hearts. 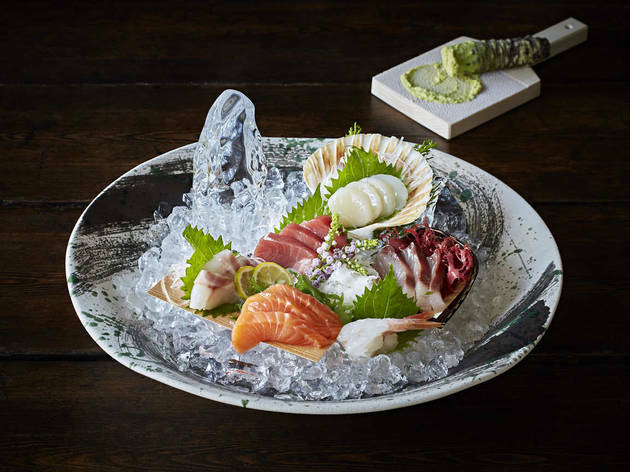 At £39, it’s no cheap eat, but with 18 pieces of incredibly fresh fish, edible pansies and flowers carved out of daikon (plus fresh wasabi), it’s well worth it. Seabass carpaccio with subtle, truffly notes was intricate and exceptional. 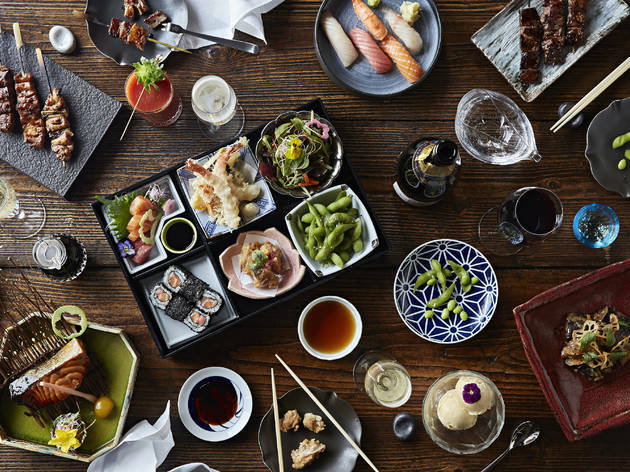 There’s plenty for veggies too – sushi rolls with burdock and carrot maki really sang, while the sprout tempura was so delicious that it could convert Nigel Farage to a plate of brussels. And be sure to leave enough room to order a raindrop cake. 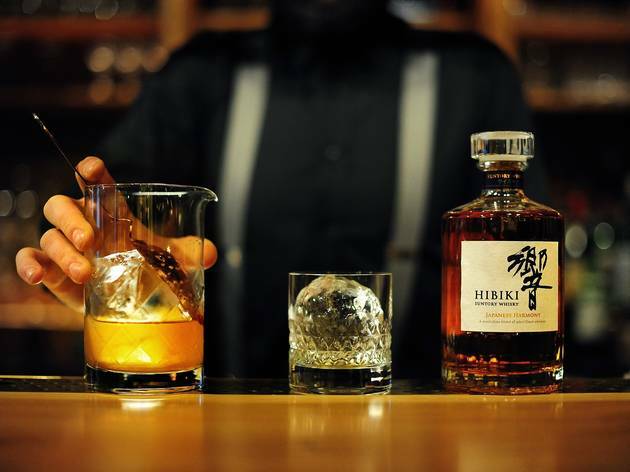 It’s not a ‘cake’ at all; umeshu liquor is poured over two drops of translucent jelly, creating an otherworldly, translucent dessert almost too pretty to eat. Almost. 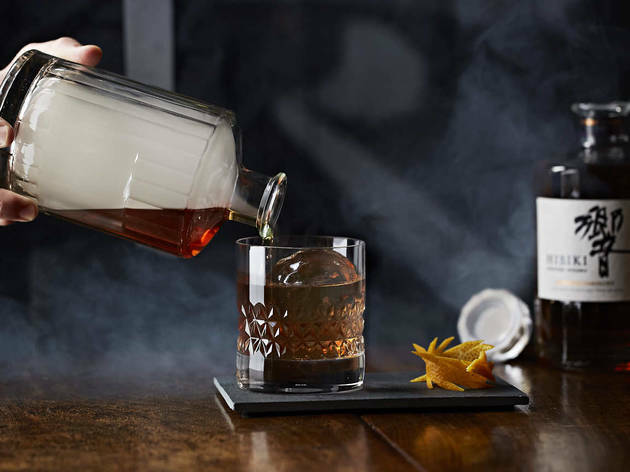 In honour of Hanami, Sakagura have created a bespoke list of limited-edition cocktails in partnership with Gekkeikan – the choice brewery of the Japanese Imperial Family and The House of Suntory, showcasing Roku craft gin and Toki. 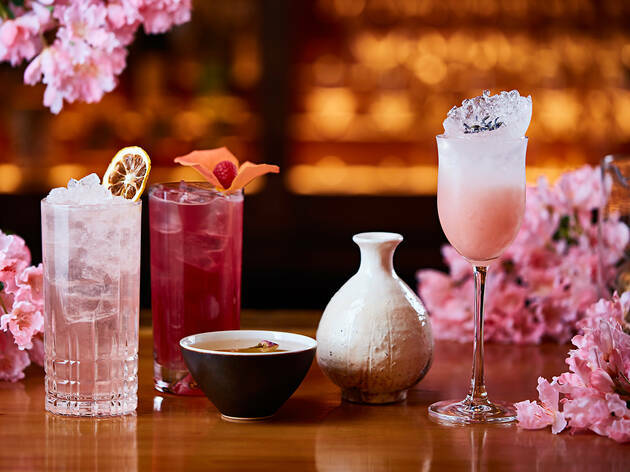 Each priced at £15, these cocktails not only make the perfect choice for this year’s Hanami season but also to celebrate Mother’s Day on Sunday 31st March. 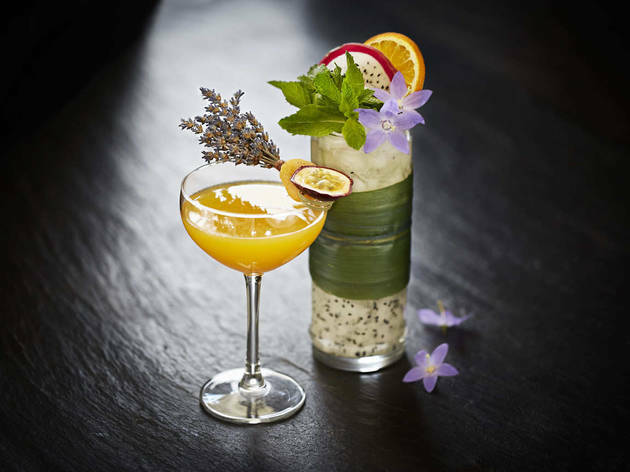 - Beneath the Sakura Tree - Gekkeikan honjozo sake mixed with Cointreau and oolong tea syrup. 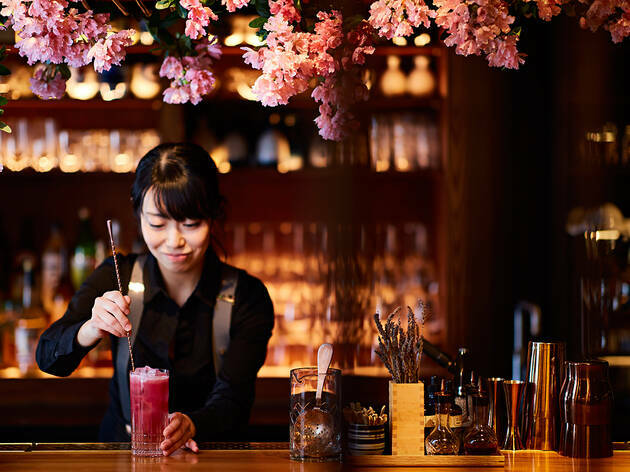 Served slightly warm - Wild Blossom - Toki whisky blended with caramel syrup and a refreshing top up of handmade berry’s soda - Hanami Calling - Roku gin* mixed with honey, lemon and Red Shiso Umeshu. 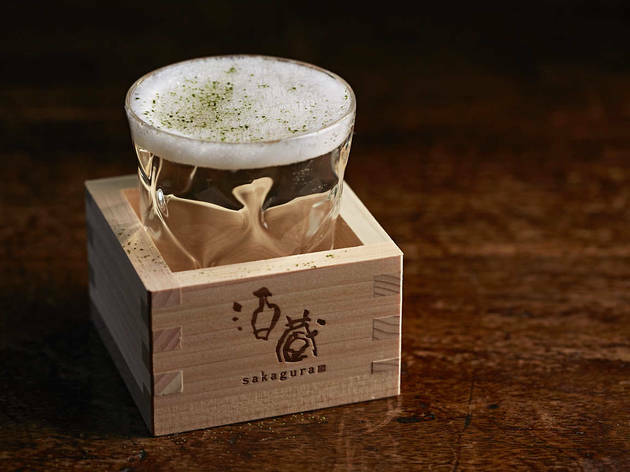 *botanicals come directly from the Sakura tree Exclusive to Sakagura, and making its debut appearance in the UK, Gekkeikan will be showcasing its very first non-alcoholic sake, to create the Innocent Cherry mocktail. 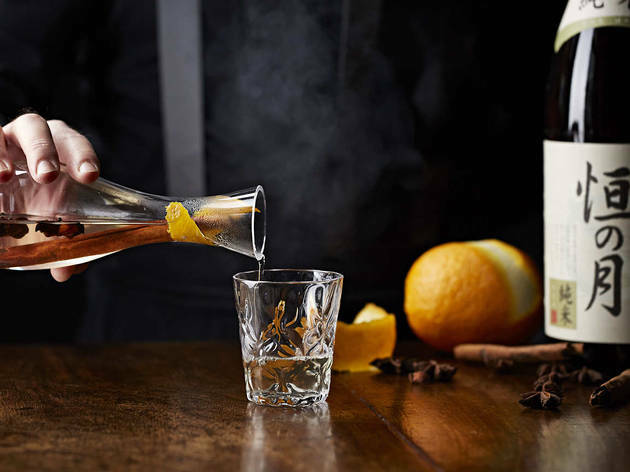 Priced at £6, mixed with calpico, pomegranate, and elderflower cordial and the subtle touch of vanilla, the lingering taste of sake is very much present, whilst the alcohol is not! 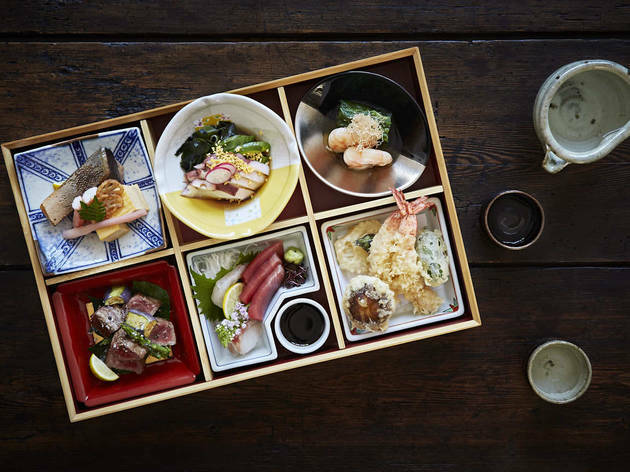 Unique food experiences where you ‘do your own’ are fun and not to mention, delicious ways we can take you on a Japanese food tour for the night. 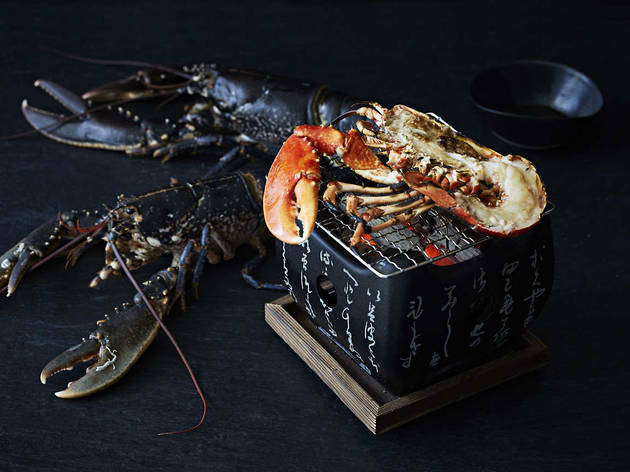 Grill your favourite seafood, meat and vegetables on your personal sumibi barbecue with our Yakiniku barbecue menus. 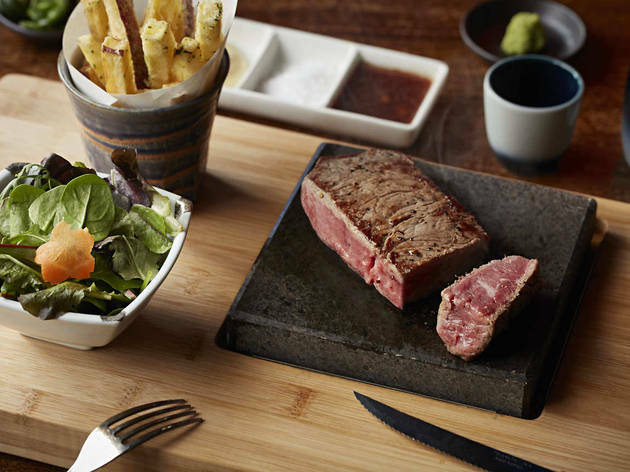 Or try our Ishiyaki stone wagyu steak menu and sizzle your steak the way you like on our piping hot lava stone, piece by piece. 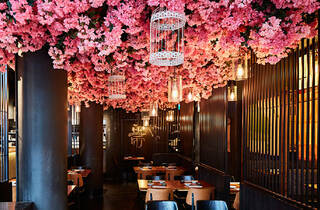 Dinner for two with drinks and service: around £150. 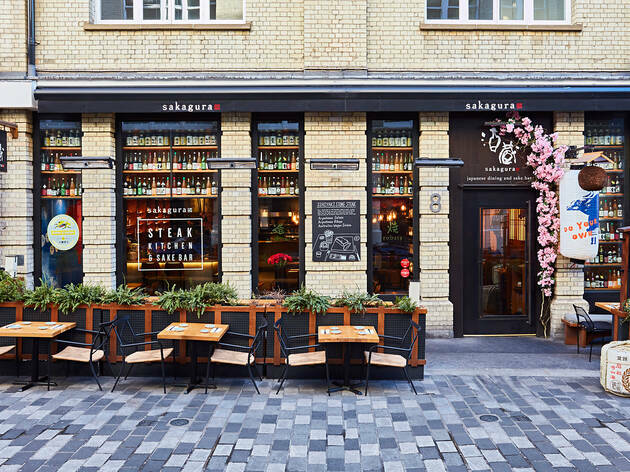 Sakagura is an intimate Japanese restaurant by the Japan Centre, nestled in a courtyard off Regent Street. 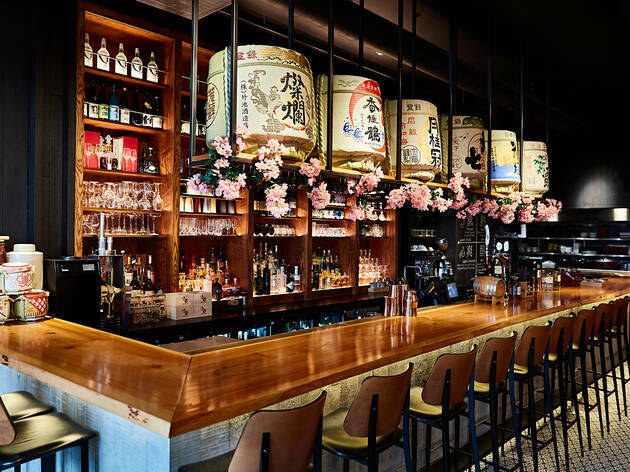 Stepping inside I felt like I'd jumped back to Japan, with wooden panelling and private boothes with cloth hanging. 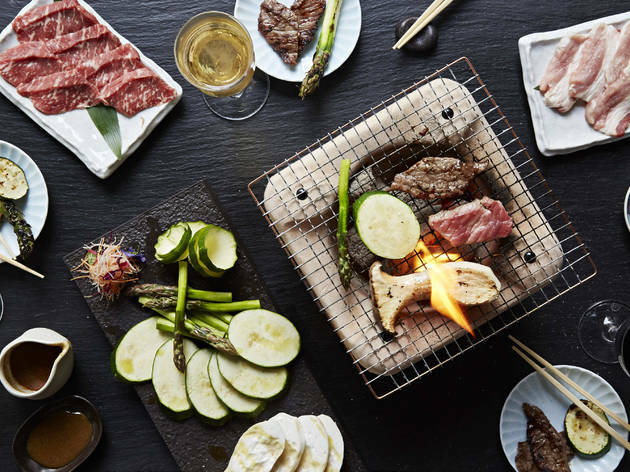 Outside there is a small terrace and in the basement there is a sake cellar, if you opt for the yakiniku bbq you will be sat in either of these areas. We opted for the BBQ on a two for one offer, we got to choose 6 options between us so chose prawns, scallops, chicken, spare rib, ox tongue and opted for the Australian Wagyu sirloin at the £3 extra supplement. It came with a small bowl of rice and salad, I was a little disappointed at the amount of food and that there was unlimited rice or salad like there would be in Japan. The meat was fresh and the Wagyu melted into my mouth, the complementary dipping sauces went well. 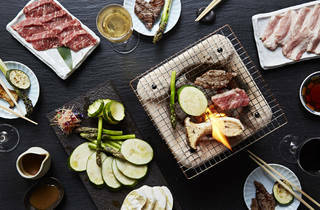 The bbq came out with a griddle pan placed on top of a stone engraved with Japanese writing, you have to cook your own food which I loved as I like to play with my food. As it was happy hour too we opted for two cocktails, at £15 each I recommend you get there before 7 to order them at the discount price. The were both well presented and looked so elegant. I opted for the Okinawan dragon which was decorated with a flower and a piece of dragon fruit and my friend chose the lychee tini which had 3 pink hearts on top of the foam. They were both delicious. The set menu also included dessert, I chose dark chocolate and wasabi, tasting similar to chilli chocolate which is one of my favourites. My friend chose soy sauce and caramel, I was surprised by the white colour. It had a flavour of salted caramel, I'm not really sure that you could have know it was soy sauce. For £30 I felt it was a reasonable deal, but I would have been disappointed if we'd paid £60 as there wasn't quite enough food. The deal is on until the end of the month if you want to get it before it goes. The service was a bit of a let down, with them taking a bit of time to acknowledge me on arrival and 20 minutes to bring me water. I also had to seek out a staff member to order my cocktails just before happy hour ended. It did create some amusement for me and my friend as we started jokingly saying I should click my fingers and the two ocasions they did appear by coincidence which cause us a lot of laughter. 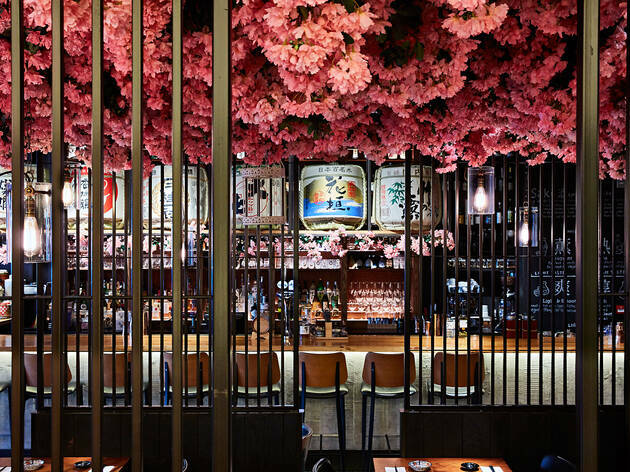 If you are looking for a real authentic Japanese restaurant in London there is only one place to go Sakagura on Heddon Street. Only open now for 4 months it is top notch from the start. 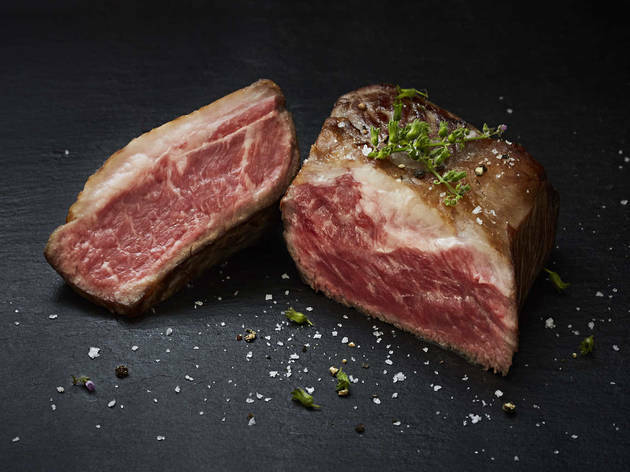 The Wagyu beef aburi steak was superb. 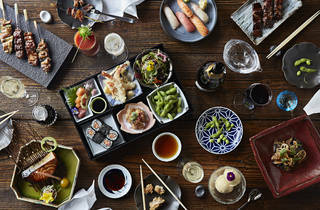 The restaurant is part of Japan Centre known for their high quality Japanese food. Time Out says 4 stars, for me personally definitely a 5 star restaurant.